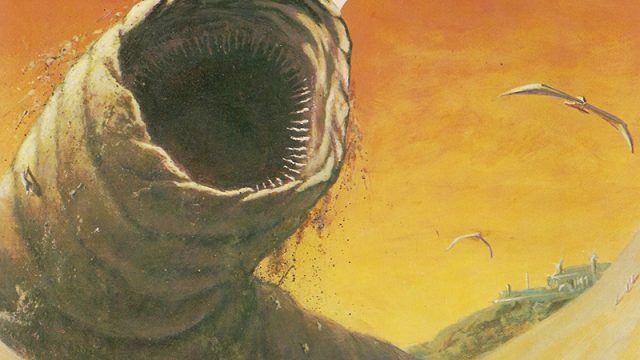 Legendary Pictures and Warner Bros. Pictures have announced that filming has officially begun for director Denis Villenueve’s upcoming Dune reboot. The film is scheduled to shoot in three different locations which are Budapest, Hungary and Jordan. The new Dune movie will feature an all-star ensemble cast that includes Timothée Chalamet (Call Me by Your Name) as Paul Atreides, Oscar Isaac (Star Wars: Episode IX) as Duke Leto, Zendaya (Spider-Man: Far From Home) as Chani, Oscar winner Javier Bardem (No Country for Old Men) as Stilgar, Stellan Skarsgård (Thor) as Vladimir Harkonnen, Rebecca Ferguson (Mission: Impossible – Fallout) as Jessica Atreides, Charlotte Rampling (45 Years) as Reverend Mother Mohiam, and Jason Momoa (Aquaman) as Duncan Idaho along with MCU stars Josh Brolin (Sicario, Avengers: Endgame) as Gurney Halleck, Dave Bautista (Avengers: Infinity War) as Glossu Rabban and David Dastmalchian (Ant Man and the Wasp) as Piter De Vries. Set in the distant future, Dune follows Paul Atreides, whose family assumes control of the desert planet Arrakis. As the only producer of a highly valuable resource, jurisdiction over Arrakis is contested among competing noble families. After Atreides is betrayed, he leads a rebellion to restore his family’s reign. Dune was previously adapted by David Lynch in 1985, and it was also a series of TV miniseries starting in 2000 on SYFY. Blade Runner 2049 and Arrival director Denis Villeneuve will helm the Dune remake. Eric Roth and Jon Spaihts wrote the script, and it is being produced by Legendary Pictures. The film is set to hit theaters on November 20, 2020.